For many Shiba Inu owners, nail cutting time with their Shibas can be terrifying - to both the dog and the human. Choosing the best dog nail clippers will make the task much easier. ​Since Shiba Inus are small / medium dogs , the best dog nail clippers would be the guillotine style ones. These are the simplest dog nail clippers to use. Simply insert your dogs nail into the hole and squeeze the handle to clip. You could also use scissor type clippers but guillotine clippers allows you to cut smaller nails with greater precision. ​Scissor type clippers are better suited for large dogs with thicker nails. In addition to clipping, sanding your Shibas nails will help you to get closer to the quick. Smoother nails are also safer for both you and your Shiba. Sharp nails are prone to cracking and don't feel great on human skin. Tools to sand / grind your Shiba Inu nails include manual sanders or powered rotary tools like a ​Dremel. For a quick touch up after clipping, metal nail sanders will work fine. You can use human nail sanders as well. If you need more nail grinding power, then powered rotary tools work best. Avoid the dog-specific nail tools popularized on T.V. infomercials. They do not have enough power and are ineffective. Shiba Inus With Black Nails - How Much To Clip, How Much to Grind? 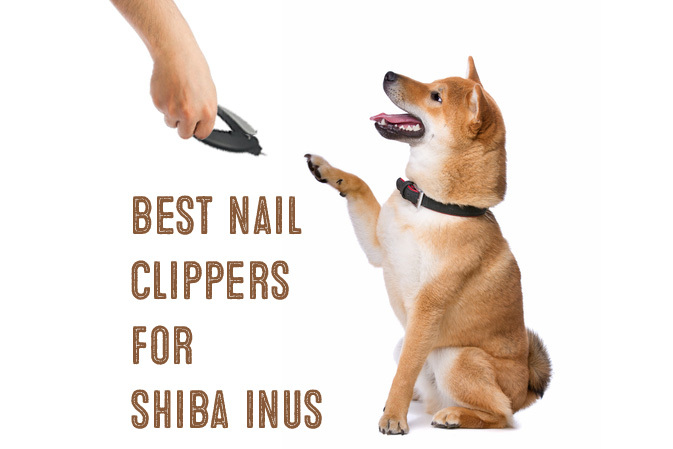 Dark nails are a preferred Shiba Inu breed standard - but make nail clipping time tricky. Dark nails make it impossible to see where the quick is. If your Shiba has black nails and you are new to dog clipping duty, you should clip less and grind more. 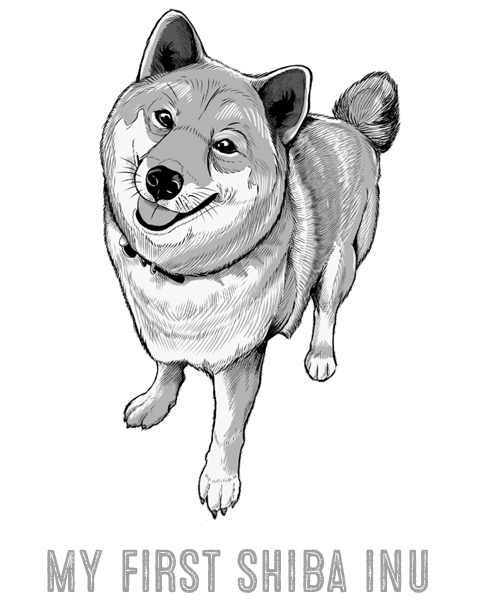 With Shibas, this or course is easier said than done. To safely grind your Shiba Inus nails, your Shiba Inu needs to be acclimated to the noise and sensation of a Dremel. Hopefully, you got your Shiba Inu as a puppy and have already exposed your Shiba to loud noises and handling during grooming. If not, proceed with exposure to a Dremel slowly. Some Shibas may not be able to handle the noise no matter what you do. In these cases, you need to clip shorter and more frequently. You can also use a manual sander to file down the sharp edges. Alternatively, you may have to take your Shiba to a veterinarian or professional groomer for nail clipping. If you accidentally cut into the dogs quick, apply styptic powder to slow bleeding. Then, take note of how long the affected nail is and cut the other nails a bit longer to avoid cutting the quick again. Resco, the company that manufactures these clippers in the U.S. invented the guillotine style dog clipper in 1937. Ever since then, these quality clippers continue to be manufactured in the U.S. and remain the most popular choice in guillotine style clippers. This Resco Deluxe Dog Nail Clipper has padded handle for comfortable handling. These clippers do cost more than most guillotine style clippers because of it's superior build quality and features. Due to it's micro-honed cutting system, the blades on these clippers are quite sharp. We tried the small size clippers for our Shibas and they were the perfect sized. Our favorite feature is the patented blade changing system. ​It just takes a push of a button and a few taps to lodge the blade out for quick replacement. The Resco company also offers a conditional lifetime warranty on these clippers. Check the latest price of the Resco Original Deluxe Dog Clippers﻿﻿﻿﻿﻿﻿﻿﻿ ﻿﻿﻿here. The Safari 770045 Professional Nail Trimmer is a great value priced guillotine style dog clipper. Most guillotine clippers in this price range are of similar quality. The key to good cutting with guillotine style clippers is sharp blades. This Safari clipper set comes in a 2-pack which makes it a good value. For Shiba Inus, the large sized option works well. These clippers are made out of stainless steel and can be used with either your right or left hand. Check the latest price of the Safari 770045 Professional Nail Trimmer here. The Danish Design Dog Grooming Guillotine Safety Nail Clipper﻿﻿﻿s is another good choice for cutting your Shiba Inus nails. The only con of this clipper is the plastic build. While it should hold up to normal use - excessive force could potentially break the plastic. The sharpness and ease of use make up for the one negative point of this dog nail clipper. Check the latest price of the ﻿﻿Danish Design Dog Grooming Guillotine Safety Nail Clippers﻿ here.